Anyone want to come over for a drink? The color coordination was entirely unintentional but it’s not surprising in the least. Since my teas, tinctures, powders, proteins, and supplements were getting a *liiiiiitle* bit out of hand (aka, had consumed the entirety of the counter space in my kitchen), I decided to get thrifty. 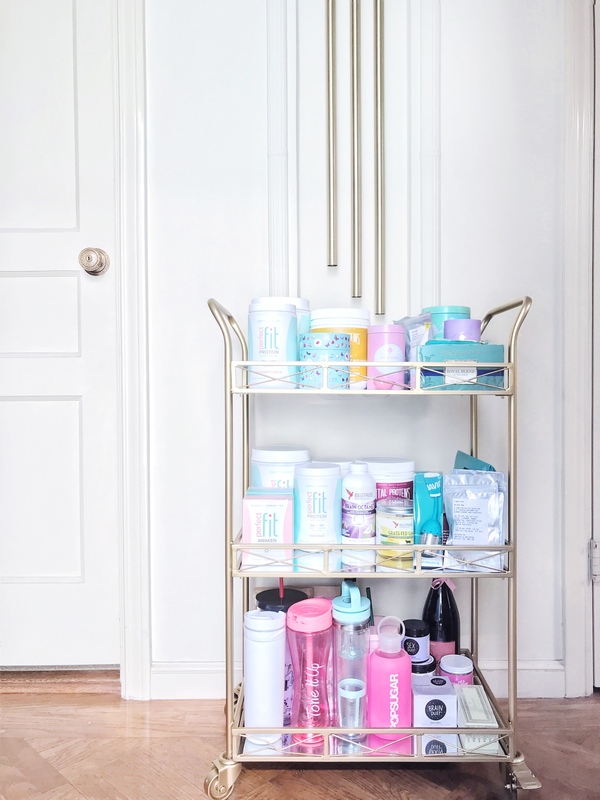 I ordered my first bar cart from Overstock.com — and instead of adorning it with rosy champagne flutes from Anthro that I don’t have (TBH I wish I had them tho), I obviously covered it in health products and tea. Because of course. 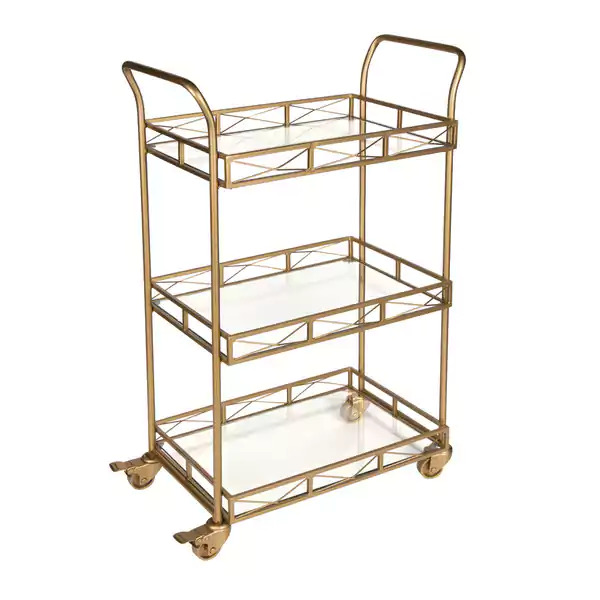 Here’s a look at the Kate and Laurel Ketia Goldtone Metal and Glass 3-tiered Tray Bar Cart (I got it for $180). It’s in a sweet spot of being small enough to stash in a corner, but big enough with enough shelves to hold SO much stuff. 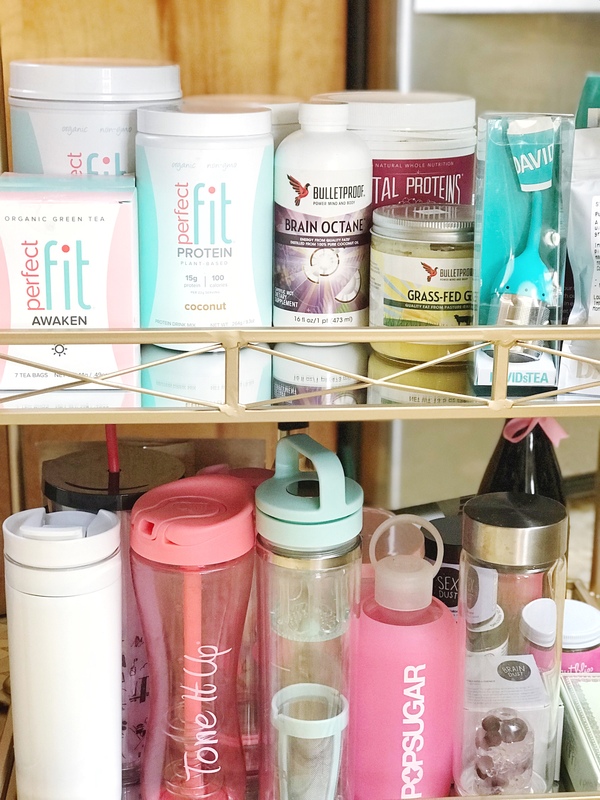 I’ve got most of my products on here right now, and will work with organization in a trial-and-error format (moving things around as I go to see what works best). 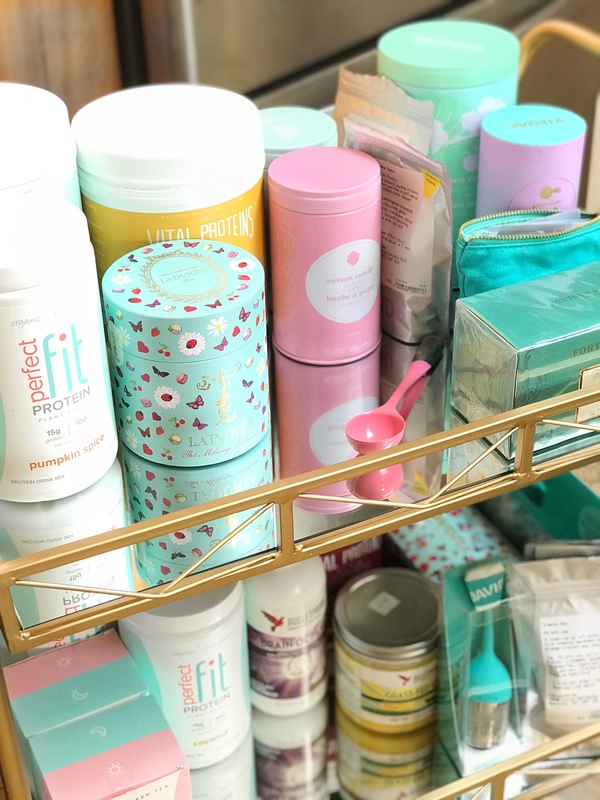 I’ve got my Perfect Fit Protein powders, Vital Proteins collagen, David’s Tea teas, Laduree and Fortnum & Mason tea from my recent Europe trip, and some powders and potions from other brands like Bulletproof, Philosophie, Rebbl, and Moon Juice. What do you think? Will you add one of these to your kitchen? I’ve gotta admit, it makes the cutest little smoothie bar in my house and gets me even more excited for mornings. This is so adorable! Which supplements do you recommend?